There is a lot to look forward to if we are to discuss corneal transplantation in Istanbul, Turkey. Besides their lower costs, especially compared to the cost of like-surgeries in the US, Canada, and the UK, corneal transplant in Istanbul, Turkey holds many other benefits, primarily in the form of good quality treatment comparable to that found in the First World, quicker access to healthcare, and a chance to recuperate in a quintessential holiday-like setting. 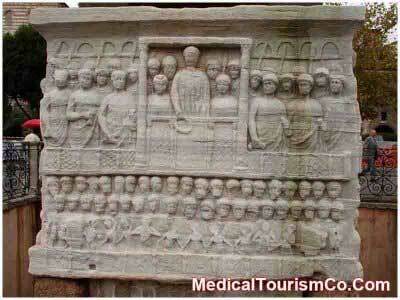 Medical tourism in Turkey is a thriving industry today, chiefly because of the aforementioned reasons. Below is the video of a senior official at a leading Turkish Hospital discussing the cornea transplant surgery. The US National Institute of Health’s MedlinePlus defines corneal transplant, or corneal grafting, as a surgical procedure wherein a damaged or diseased cornea may be replaced with corneal tissue that is donated. One of the basic things that corneal transplantation patients need to understand is that when we talk of replacement of the entire cornea, it is referred to as a penetrating keroplasty but if only a part of the cornea is to be replaced, then it is called lamellar keratoplasty. The first corneal transplant was performed in the year 1888. Fortunately for patients of today, the procedure has long been perfected since then, and corneal transplant surgery is now available all over the world, even in places like Istanbul, Turkey. According to statistics compiled by the Eye Bank Association of America (EBAA), over 90% of all corneal transplant operations turn out successful, restoring the patient’s vision. Turkey is located between Europe and the Middle East, it serves as a great base, geographically speaking, to get corneal plant surgery for European and West Asian patients alike. As Turkey is surrounded by eight countries, namely Greece, Bulgaria, Armenia, Georgia, Azerbaijan, Iran, Iraq, and Syria, corneal transplant procedure in Istanbul is instantly accessible to patients coming from these locales, besides those that already reside in Turkey. Patients from as far away as the US, Canada, Australia, and nearer parts of Europe such as Romania and Bulgaria and even the Middle East can easily fly to avail of keroplasty in Istanbul, Turkey! A number of major airlines now offer direct flights to Istanbul, and there are plenty of different accommodations scattered throughout the entire city. When we discuss corneal transplant cost Istanbul, Turkey patients enjoy some of the lowest rates in the world! Medical procedures such as Cyberknife for Cancer, IVF, transplant procedures, as well as other eye surgeries besides corneal transplantation, such as presbyopia treatment and Lasik eye surgery in Turkey are readily available at low costs, and with very little or no wait time at all. When comparing medical costs in the developed countries of the West with those in Turkey, it can be seen that the difference in cost ranges from around 40% to 50%. Obviously, for those who want to save, keroplasty in Istanbul, Turkey is the way to go. Besides its reputation for being a culturally rich and beautiful country, Turkey is also making a name for itself in terms of medical tourism. Patients from different countries such as the USA, Australia, the UK, and France come to Turkey to get various medical procedures done. They do so with confidence, as the country has long had a democratic form of government, enjoys a very stable economy, and boasts of a very low crime rate. Not only that, there are a number of state-of-the-art hospitals in Turkey, many of which are JCI accredited, as well as many experienced doctors and surgeons who will readily attend to your concerns. For options regarding diseased cornea treatment Istanbul, Turkey should be one of the locations patients should seriously consider. As mentioned above, there are a lot of obvious advantages in seeking damaged cornea treatment in Istanbul. Not only are patients offered with a surgery that costs lower, but there is also the allure of having little to no waiting time involved. If you have a loved one, or you, yourself are in need of surgery, then you know how much of a difference these two factors make. In fact, these two factors immediately make corneal transplantation in Istanbul, Turkey a winner, as well as a very practical and sensible choice. Medical Tourism Corporation facilitates low-cost eye surgeries in leading hospitals in Turkey. Request a quote using the form on your right for more information.